In our last blog, we offered some tips for moms to balance work and family, but we know that men too face the same dilemmas and that men today have high hopes of either being like their dads who were great, or of being the dad that they wanted but didn’t have for a host of reasons. We are Child’s Academy in Monroe and we are lucky to have some of the best dads around! 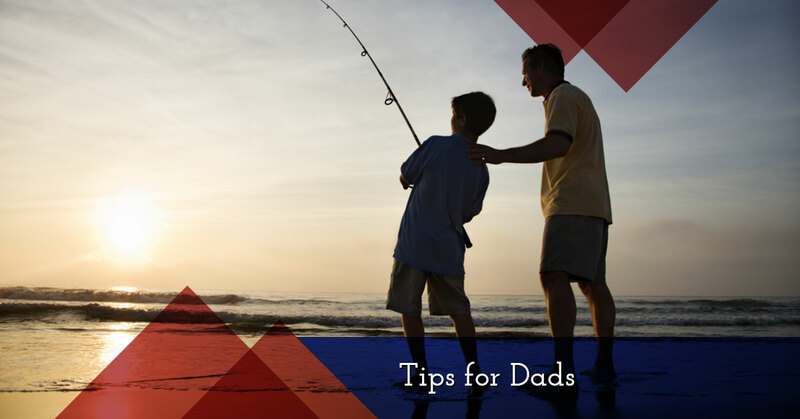 This week we’ll cover some tips on how to the best dad you can be! Request A Tour!See Our Locations For Yourself! Being present, truly present, can be hard work. When you come home from your job, you may want to turn on the TV and turn off your brain, but being a parent means having to be present for your kids and wife after your day of labor is done. When you child is in the phase where they talk from morning ‘till night, it can be hard to not let your eyes glaze over to respond with absent minded “yeah”s, but do your best to stay engaged with them and their stories. This will pay off when they are teenagers. The line of solid communication will be there. If disciplining your child is a challenge for you, read some books on the subject, there are lots of them out there. If you don’t like how you were raised, this will be even more important to do since when you are pushed to your limits like only a toddler can do, it’s good to have a game plan to follow. One of the best things you can do to facilitate disciplining children is to make sure that both parents are on the same page. Having a united front will help both parents, and will avoid the pitfall of resentment from having either parent undermined. Even if you agree on a good-cop / bad cap scenario, you and your wife should work together to teach your child what appropriate behavior is. Showing respect to the mother of your child is one of the most important things you can do. This goes for divorced and non-divorced parents alike. Backing her up (as long as you agree in principle with her parenting technique – if you don’t this is a bigger issue) will show the children that she is to be respected and listened too. We offer daycare for children from infancy to preschool and have great dads here! Call Child’s World Academy and schedule a tour of our facility.